First of all, drumroll please. and a low sodium dinner cooked just for them. And since I can pretty much guarantee that the first reader will be my mom, I’ll just say, congratulations Marsh and I’ll see you tomorrow with some soup. Now that we’ve taken care of that big Ed McMahon moment, on to more pressing food matters. The bread crumb. Whether it is Italian, seasoned, or garlick’d and herb’d – chances are, a package of these toasted grains will be high in salt. 1. Buy some low sodium bread. 2. Cut into 1/4 inch cubes. 3. Put into an oven pan and throw under the broiler – on low – for 10 minutes (watch them carefully!). 4. Take out and smash away. Give the crumbs extra flavor by adding your own herbs and spices or by rubbing the bread cubes (post toasting) with some fresh garlic. At most, this technique will take you 15 minutes and you will have fresh, low sodium crumbs ready to top any of your masterpieces. But let’s say you don’t have 15 minutes. Guests are on their way, you’re tight on time, and you wish – for once – there was a low sodium option that didn’t require all the extra work. Lucky for us, a pre-made, bread crumb option exists and we have Moses to thank for it. 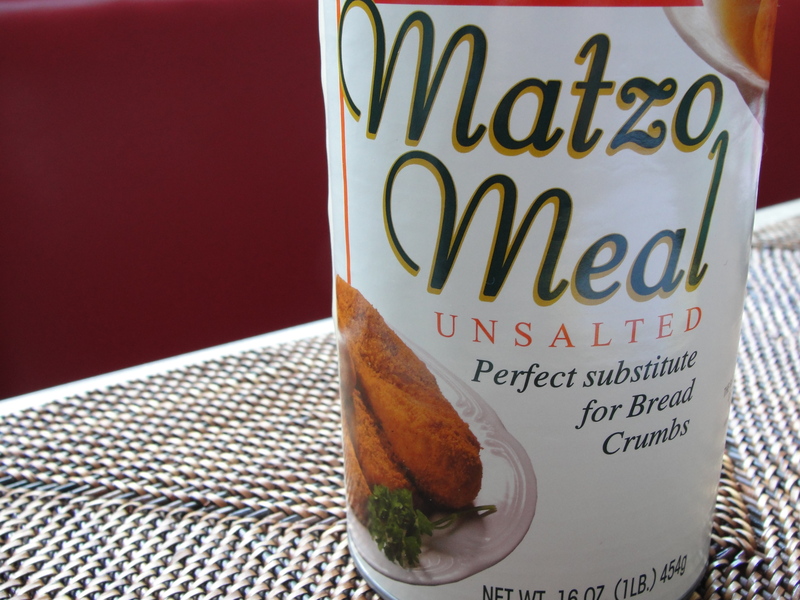 That’s right, with Passover comes Matzo and with Matzo comes no salt added Matzo Meal. A gift almost as miraculous as the parted seas. And just like the package says, these fine grains aren’t just for making delicious dumplings. 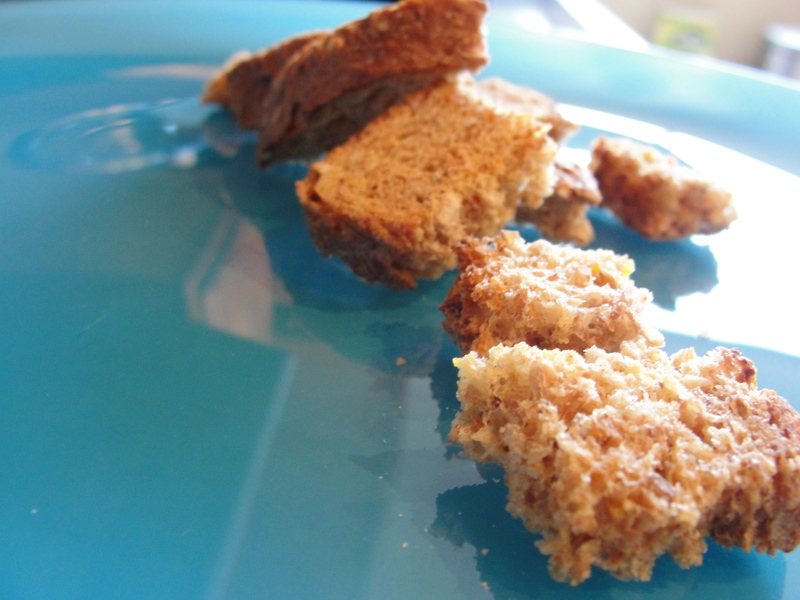 They make a great low sodium breadcrumb substitute as well. To add flavor to the Matzo Meal, mix in your own spices and herbs. When you are ready to get cooking, add olive oil or unsalted butter (melted) to the crumbs and after a good oven hang-session, they will brown and crisp to perfection. So there you go. A gift from me to you to usher in the next “century” of Sodium Girl posts and a good reminder that low sodium substitutions often lurk in the most unexpected places. Like burning bushes. Get crunchy and chow on. Rats, I guess this Wai Wa reader won. Bother. Love the posts always and congrats on all 100! !